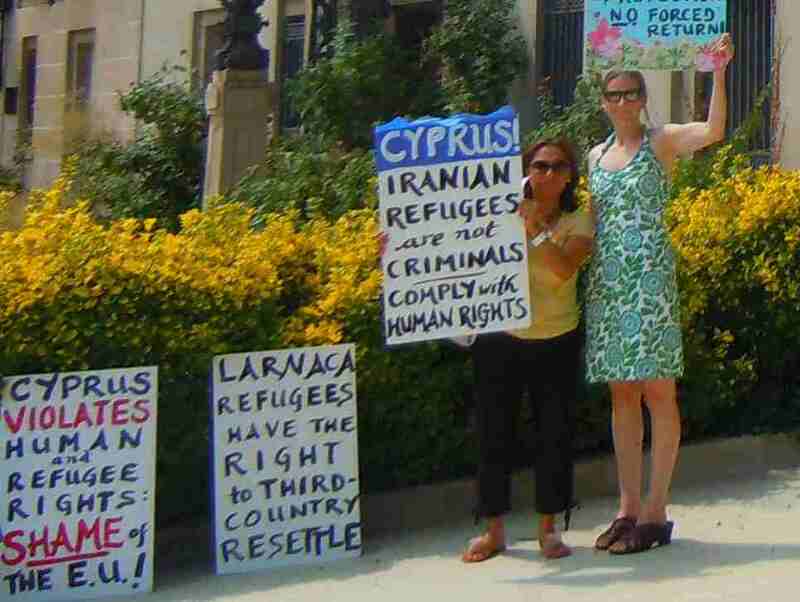 On Sunday, 24 July 2011, Mission Free Iran organized a small picket at the Embassy of Cyprus in Washington DC to protest against the recent criminal beating by armed Cypriot police of detained Iranian refugees in the Larnaca detention center (ENG | FA). Also represented in the demonstration was the Women’s Alliance for Change in Iran. We demanded the immediate investigation of prison and detention conditions in Cyprus by the International Red Cross and that immediate protection status conferred on those attacked and rapid resettlement to a safe third country. We futher demanded that a case against the government of Cyprus be brought directly at the level of the EU Court of Human Rights. 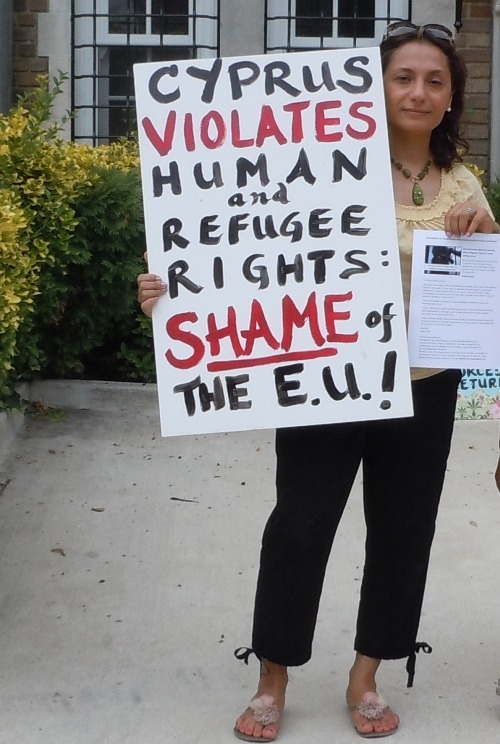 The government of Cyprus is poised to take over the presidency of the EU in 2012; given the flagrant violations of human rights in the country, we oppose the government of Cyprus in this role. Cyprus has no place in the EU, let alone in the role of EU president. In addition to picketing at the embassy, we also made flyers available to the public; they are available via Scribd, embedded below. 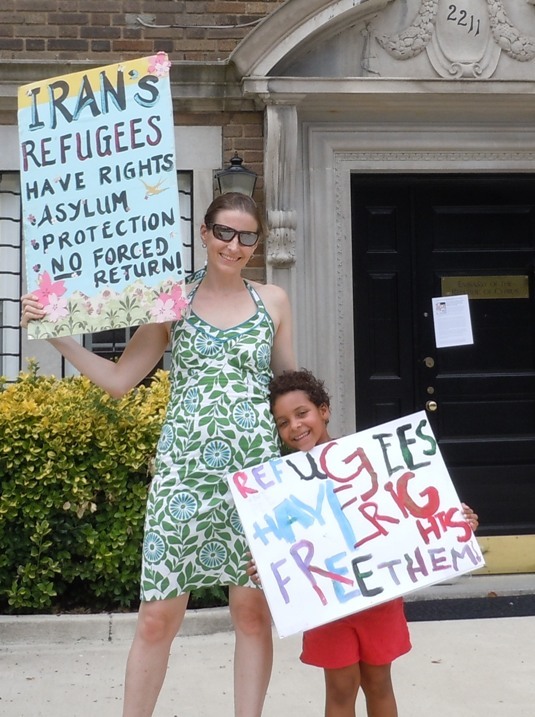 Another protest at the Embassy of Cyprus has been organized for Friday, 29 July 2011 from 12-2pm. the first step to be a racist you should know what is your race.